The condition of your skin says a lot about how old you look. Sun damage, aging, acne scars, or inadequate skin care can cause poor skin texture, enlarged pores, wrinkles, and other bothersome facial issues. The Aesthetic Institute is pleased to offer Sciton®, a safe, state-of-the-art fractional laser that addresses fine lines, deep wrinkles, acne, and other facial blemishes. Dr. Wald offers the Sciton® ThermaScan™ laser and the SkinTyte II™ laser to help patients achieve smoother, tighter, more youthful skin. What Can the Sciton® Laser Improve? Many patients who struggle with poor skin tone and texture feel embarrassed about the appearance of their face. Acne, discoloration, and hyperpigmentation (such as sun spots and acne scars) can cause the skin to look dull, and it can be difficult to correct these issues with facial creams and makeup. 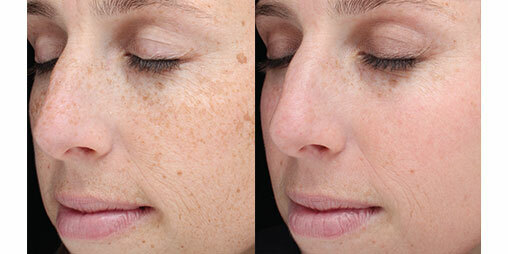 The Sciton® laser can address these issues to restore an even skin tone and smooth complexion. Over time, your skin can become wrinkled, loose, and uneven due to sun exposure, scarring, or the natural aging process, which can leave your face looking aged and damaged. The Sciton® laser can improve a patient's skin quality by reversing these effects to reveal the smoother, tighter, and more youthful complexion beneath the damaged skin. Men and women can struggle with acne at any age from adolescence into adulthood. The Sciton® laser treats active acne from the inside out, killing blemish-causing bacteria and shrinking the sebaceous glands. The laser also produces heat, which stimulates the production of collagen, resulting in a smoother and visually pleasing surface. During your consultation, Dr. Wald will evaluate your facial features to determine the best treatment option for your specific needs. The ThermaScan™ laser offers a non-invasive treatment that addresses wrinkles, acne, and acne scars by removing bacteria and minimizing oil-producing glands on the skin. This laser also uses heat to help the facial skin produce new collagen, and it is safe to use on all skin types. The SkinTyte II™ skin firming laser sends infrared heat energy deep into the skin. The heat causes collagen fibers to contract and activates the skin’s natural healing process. This helps promote a renewed collagen foundation and improves firmness. It can be used to treat skin laxity in any area of the face or body, including the neck, chest, hands, arms, abdomen, and thighs. Sciton® laser treatment is performed on an outpatient basis and requires no downtime. Minor redness and swelling may occur but should resolve a few days after your treatment. Mild flaking or peeling may occur as well. Your skin will become firmer, tighter, and smoother within a few weeks following your treatment as the collagen in your skin becomes stronger. Your final results will become apparent within a few months of your treatment. If any concerns arise, you may schedule a follow-up appointment with Dr. Wald to evaluate your skin to make sure everything is healing correctly. Dr. Wald and his team are available to answer your questions and help you with any concerns you may have. Schedule your consultation today to start your journey toward a rejuvenated appearance.